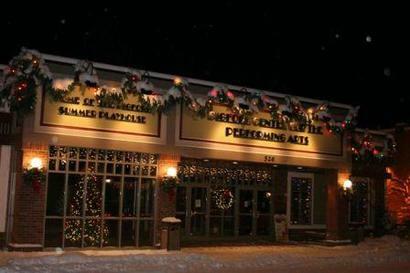 ​The Bigfork Center for the Performing Arts Foundation is managed by a volunteer board of directors who are dedicated to the promotion and preservation of this iconic Bigfork facility. Since 2012 you have helped promote and preserve this wonderful facility through the $1 Enhancement and Preservation fee included in your ticket price. 2015: Acoustic and cosmetic upgrades to the House. Stage bow extension for improved lighting/sound. Installation of video equipment to show movies. As we move into our next phase of improvements the Foundation with be working on other improvements necessary for a building that was constructed in 1988. The $1 fee along does not cover the expenses and improvements. The preservation of The Center is the legacy we leave for all of those who will enjoy theatrical productions for years to come. We ask you to join us in perpetuating that legacy by making a donation today. All contributions, large or small, are much appreciated.